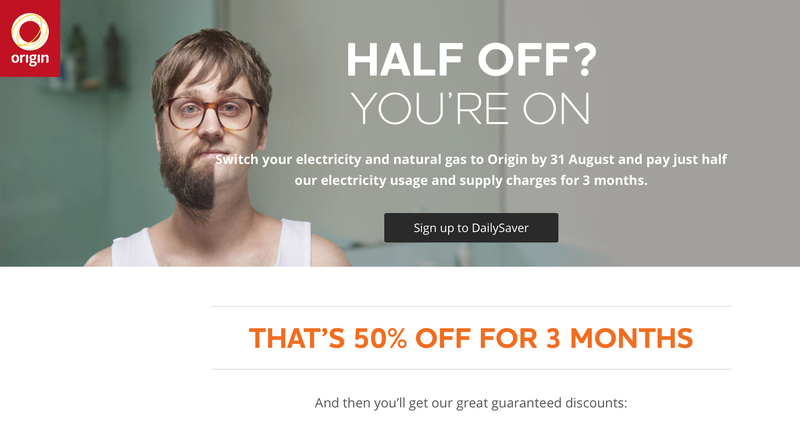 Origin Energy in Australia has launched an advertising campaign showing the ridiculousness of people doing everyday tasks by halves. 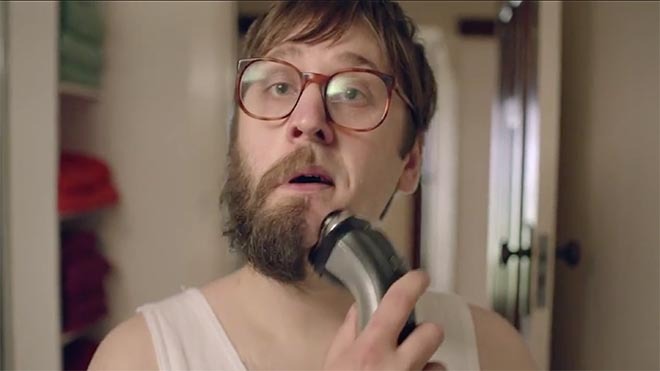 The campaign’s characters include a half bearded man, a man half ironing a shirt, a woman with half straightened hair, and a father and son switching the footy match off at half time. 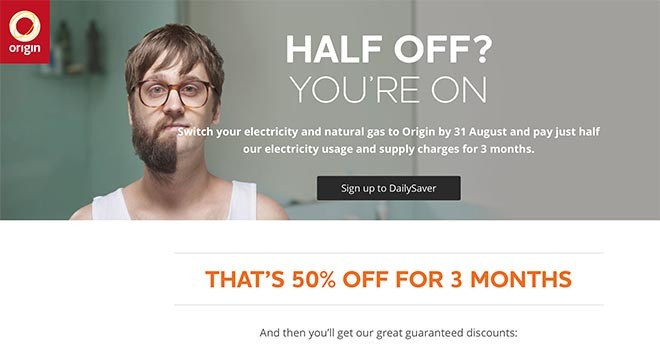 All these situations are designed to highlight Origin’s offer to take half off power usage and supply charges for three months for customers transferring to Origin. The campaign kicked off with television commercials on air in New South Wales, Victoria and South Australia from Tuesday 21st July 2015. The integrated campaign will stretch across television, print, outdoor and digital. A series of content pieces have also been developed featuring the hero half-bearded man as seen in the television commercial, eating with one chopstick, alone on a see saw, and playing volleyball. The Origin By Halves campaign was developed at Whybin\TBWA Melbourne by senior creatives Matt Stoddart and Ashwin Gopal, producers Jo Alach and Nik Round, account director Laurelle Esse, account manager Olivia Rourke and account executive Eva Bauer, working with Origin national marketing lead Sally Gross and integrated marketing lead Jude Leon. Filming was shot by director Nicholas Clifford via Truce Films with producers Michael Ciccone and Jim Wright. Media was handled by Mindshare.